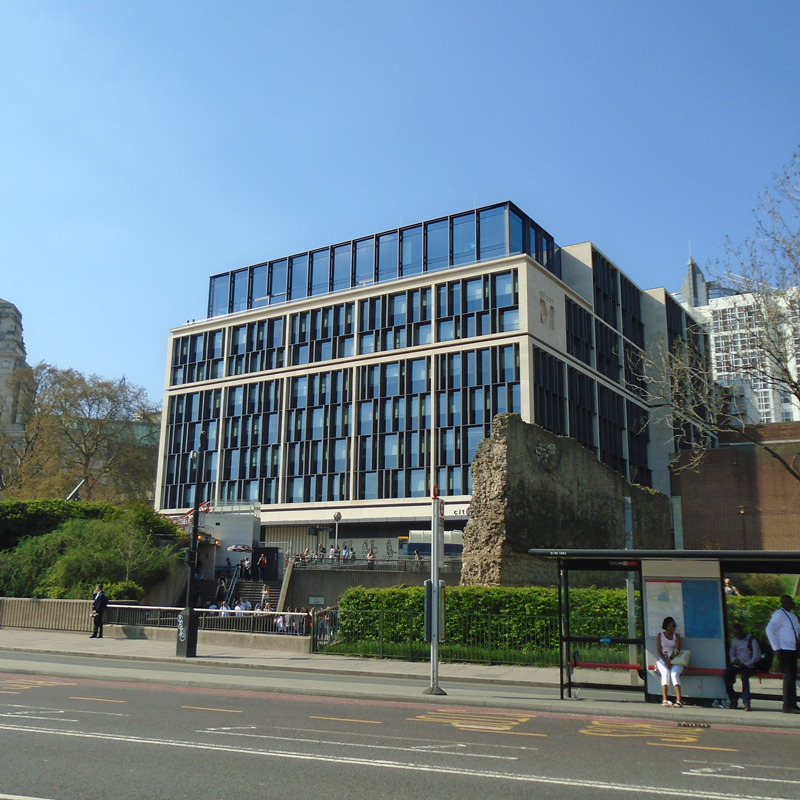 New architecture in a sensitive location within a conservation area, facing the Tower of London and close to other listed buildings. A nine storey building containing hotel and related accommodation, with a London Underground ticket hall occupying part of the ground floor, located on Trinity Square, Tower Hill. Design development advice. Townscape, Visual Impact and Built Heritage report. Evidence to public inquiry. Planning permission was granted after a public inquiry following refusal of planning permission by the local authority. The building is now complete.